Southport, a seaside town in Northwest England situated on the Atlantic coast, was chosen as the perfect place to house a high tech data center. Within a small industrial area surrounded by large open spaces of trees and grass, the non-descript compound with high security fencing and no public access was the ideal location. But as we all know, with growth, change is inevitable. 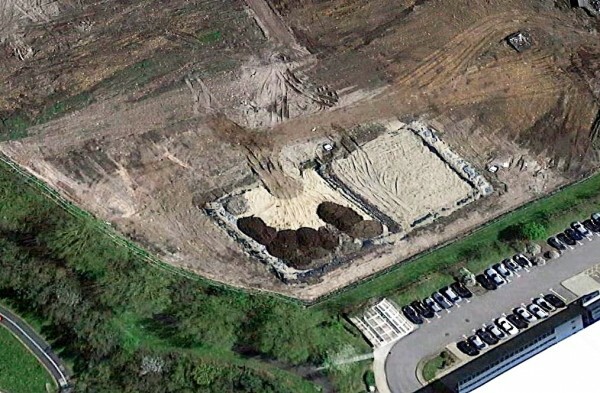 The local council granted planning permission for construction of a large housing development. 700 homes will be built on the land adjacent to the data center over the next 2-3 year period. Cooling is a critical part of any data center’s infrastructure. Necessary temperatures must be maintained to keep electronic equipment running and valuable data protected. IT equipment consumes a large amount of electricity to operate, which in turn, creates excessive heat. Because the data center is an enclosed facility, this heat can build to the point that it damages or destroys computer servers. 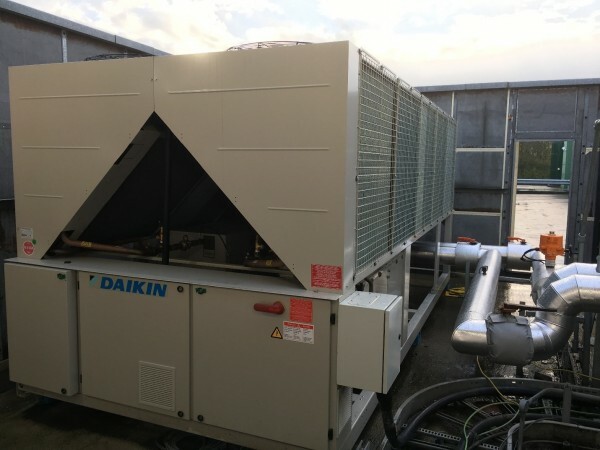 Two new Daikin EWAQ520F-XL010 chillers, 150 Ton cooling capacity with input power 170 kW, were installed at the facility to maintain the facility’s cool environment. 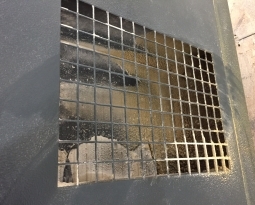 Unforeseen outdoor envir onmental changes from an active construction site means that the air intake fins and coils on the Daikin units will be exposed to a large volume of sandy soil construction dust, in addition to normal pollen, seeds and insects. Digging, as well as increased vehicle movement across the rough ground stirs up airborne debris that will block critical air flow to the fins and coat the coils. The Daikin units will be forced to work harder, cost more to operate and provide less cooling. 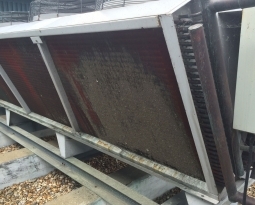 Paul Hanstock Air Conditioning Limited needed an air filtration solution, and contacted RAB Specialist Engineers, to survey and assess the problem. 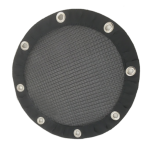 RAB recommended that the coil faces be protected with PreVent® Model BHA (Black High Abrasion) air intake filters. 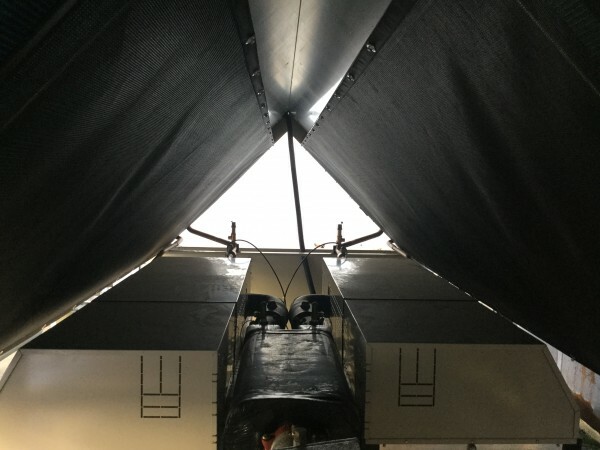 A custom sized factory order was placed on February 1st with Permatron in Chicago. The washable filters were fitted on February 23rd. 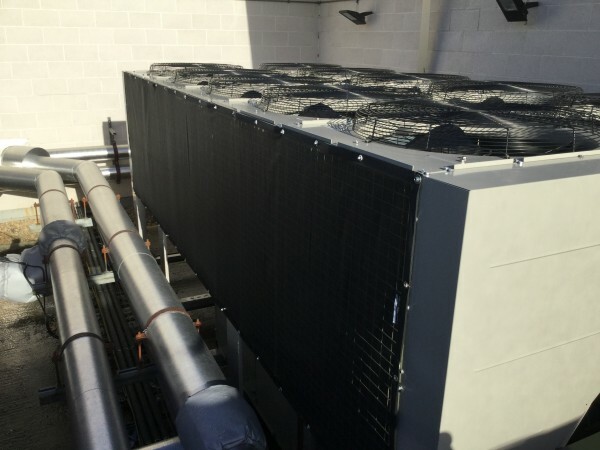 Paul Hanstock, Managing Director of the air conditioning company is delighted with the installation, commenting, “We are really happy with the way the installation went. 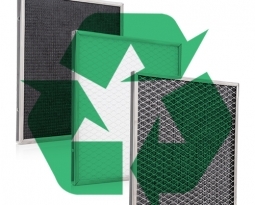 The PreVent air intake screens protect the coils and are keeping them contamination-free. 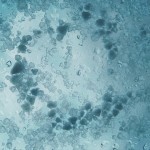 From this experience, we are very likely to use PreVent on another site later in the year”. 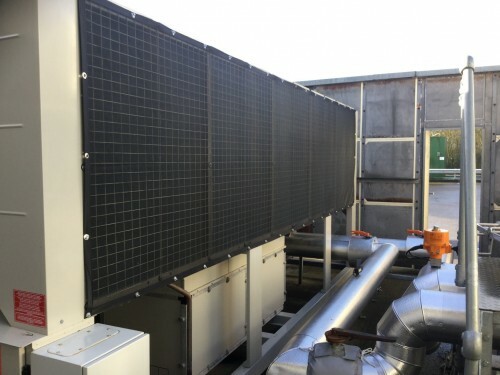 Richard Betts, Managing Director of RAB Specialist Engineers Limited said “We received great support from Permatron to ensure that these Daikin chillers were protected before major work started on the development”. 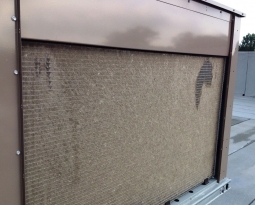 The air intake filters can be quickly brushed clean of debris with a shop vac or broom as needed.